A small farm inherited from your uncle awaits you in the Golden Farm game. Reveal your talent by building the most beautiful farm! Become the most famous farmer in your area! Plant your land, plant and harvest, trade with your neighbors and friends, develop your farm, make different products. 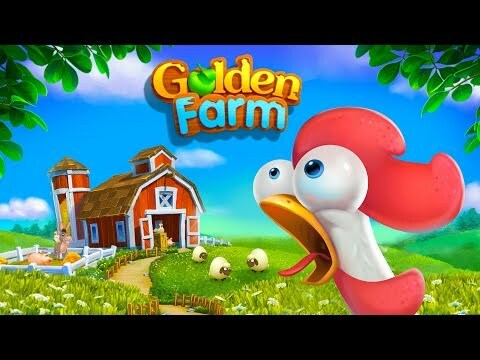 A captivating atmosphere, practical management, interesting development, colorful buildings and decorations, cute and exclusive farm animals ... all this makes the game unique and exciting. + Cook delicious dishes from products harvested on your own farm! + Deliver products ordered by truck and by train! + Sell to other players your harvest and the goods produced on your farm! + Take care of your animals! + Build the farm of your dreams using special decorations!